Principal Stacey Morris and enrichment program elementary teacher, left, stand in front of a meadow at Kresson Elementary School dedicated to Superintendent Ray Brosel, standing with his wife Kathryn. In 1977, the country and world were much different places. President Jimmy Carter had taken office in the beginning of the year, succeeding Gerald Ford. The Oakland Raiders had won their franchise’s first Super Bowl, and a soon-to-be massive movie called “Star Wars” opened in movie theaters. However, the more things change, the more they can often stay the same. Growing up in Camden, Brosel served two years of active duty in the U.S. Navy and attended Rutgers — Camden. That’s when Brosel says he became interested in education, wanting to “help young people.” He would become the district’s business administrator in this year, and later become superintendent of schools in 1986 for Voorhees. However, after 41 years, Brosel is retiring — and faculty, staff, parents and students alike have been thanking him throughout the first half of the school year as he retires on Dec. 31. 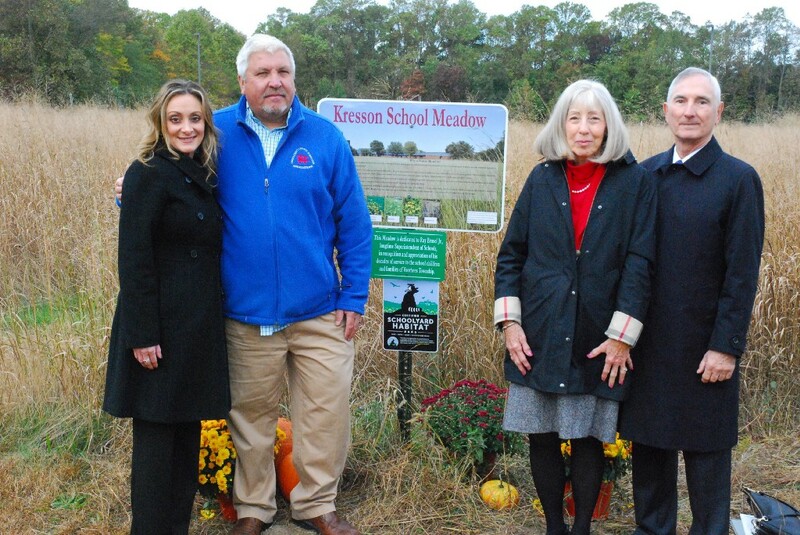 For example, this past October, students and staff at Kresson Elementary School held a dedication ceremony for Brosel, dedicating and naming the Kresson Meadow after him to honor him for all that he has done. The meadow was originally installed in April 2013, thanks to a grant from the Camden County Soil Conservation District, said Tony Klock, an enrichment teacher with Kresson Elementary for children in kindergarten through fifth grades. The meadow consists of multiple types of native grasses and wildflowers. Students help take care of the meadow and learn about the plants, insects and its environment. Klock has been teaching in Voorhees for 30 years, and says many of the students can’t remember what the school was like without the meadow, thanks to help from Brosel and others, making it the perfect thing to dedicate to him. 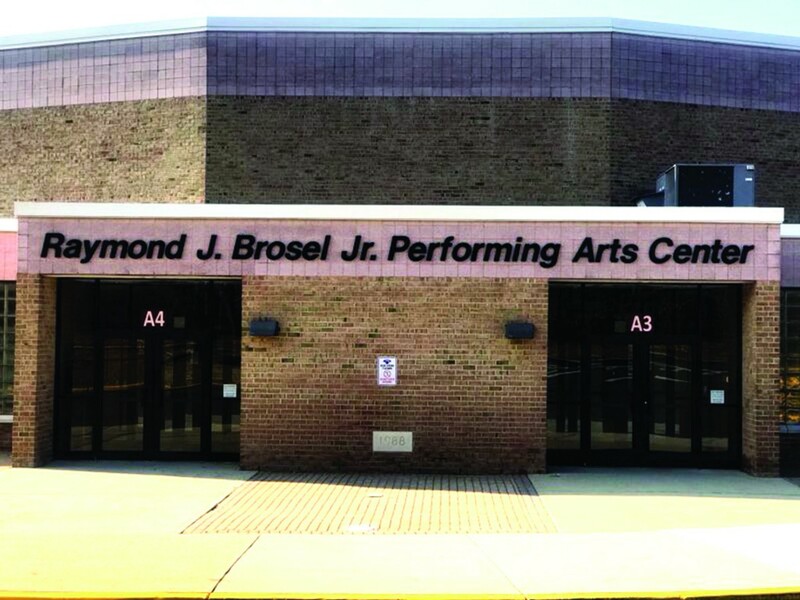 Then in November, Voorhees Middle School renamed its theater the “Raymond J. Brosel Performing Arts Center,” receiving recognition from the Voorhees Board of Education and a formal reading of a proclamation from Mayor Michael Mignogna. Multiple organizations and groups have reached out to thank Brosel for his support over his 41 years with the district, such as Pennies in Action, which honored Brosel at a board meeting earlier this year for his support in helping it raise funds for cancer research during his time as superintendent. The five schools have combined to thank Brosel for his dedication to the district in other ways as well, with the Osage and E.T. Hamilton schools both hosting breakfasts with him, while Signal Hill presented him with a plaque during an assembly earlier this school year. Although much has been done to commemorate his time with the district, Brosel wants to remind the community it has taken the hard work of an entire community to continue a tradition of learning and excellence for the Voorhees Township School District. Brosel says he has enjoyed being able to provide what was hopefully an excellent education to the diverse population that has gone through the district over the years, working together with the community to leave a positive impact. Coordinator of Special Projects Susan Donnelly says the district and school will feel very different without Brosel’s presence and leadership.